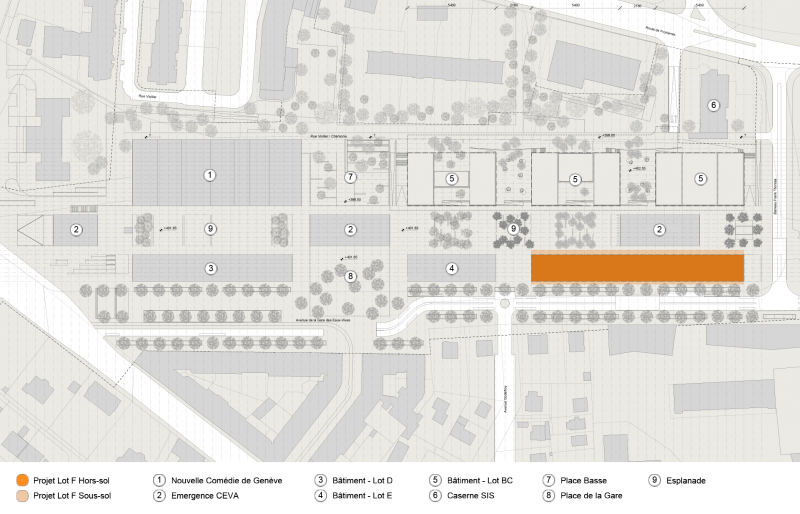 The construction of the new railway line CEVA, Cornavin "Eaux-Vives – Annemasse" between Switzerland and France is the origin of the Eaux-Vives station urban centre, which covers an area of about 500 x 150 m. The project for Lots B&C (2023) offers formal continuity with Geneva Nouvelle Comédie so as to enhance the urban unity of the site of the Eaux-Vives station. 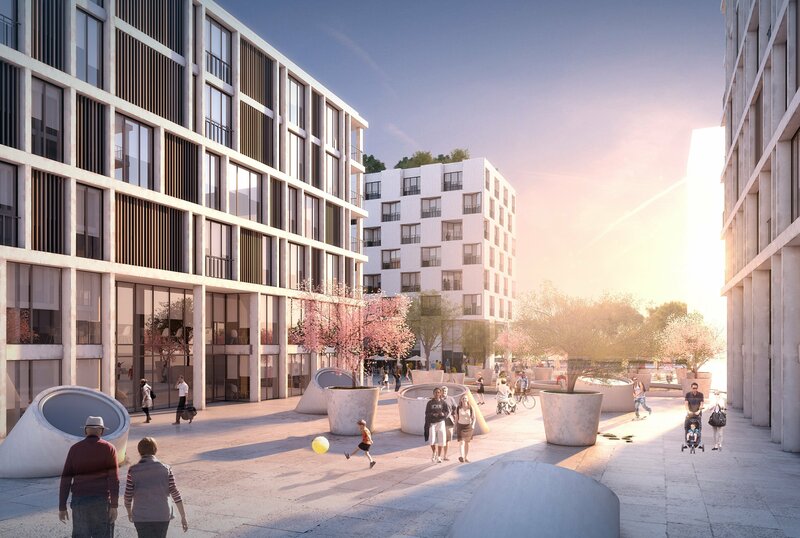 The program includes social housing, community-based socio-cultural facilities, regional sports facilities (swimming-pool, multifunctional sports hall and climbing hall), commercial spaces, a depot for the public road administration, a bike station and a parking lot. 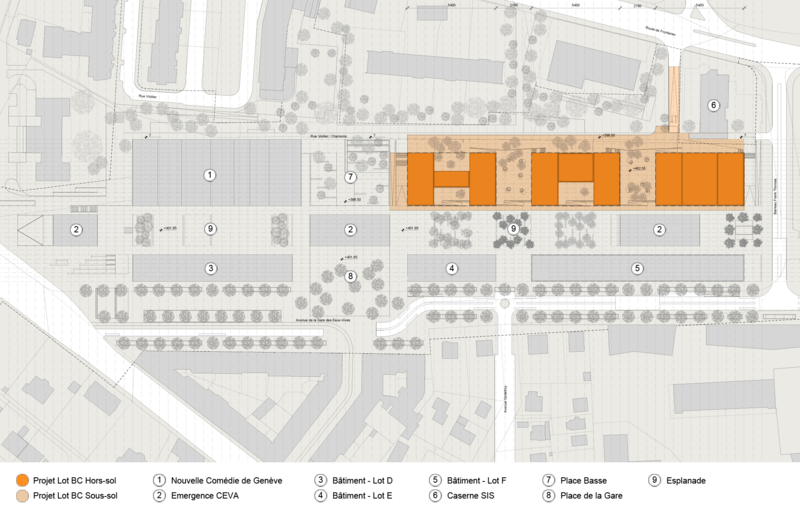 Lot F (2025) is a long volume which protects the pedestrian esplanade from the Eaux-Vives station avenue. The consistent and regular treatment of the building's facade reflects the social dimension of the construction. It houses three cooperatives within the same structure, each one focusing on a specific population group: students, families and seniors. It shall be organized in three housing areas connected with one another through common parts to promote both social and intergenerational mix.